SBI Recruitment 2017: State Bank of India has released SBI Recruitment 2017 notification for 11 vacant positions for Manager post in Specialist Cadre. Deserving candidates for State Bank of India Jobs 2017 can fill an online application form through the official website sbi.co.in in between the dates 29th December 2016 to 13th January 2017 and after successful submission of online application, candidates need to send hard copy of the application form on or before 20th January 2017. 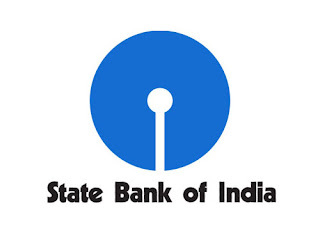 More details regarding SBI Vacancy 2017 are provided below in this post. Chief Manager (Risk) 3 28-40 CAs/ MBA (Finance). Candidate with FRM/ PRM is preferred. Proficiency in Oracle/ SPSS is essential. Minimum 7 years of post-qualification experience in Risk Management. Manager (Risk) 3 26-36 CAs/ MBA (Finance). Candidate with FRM/ PRM is preferred. Proficiency in Oracle/ SPSS is essential. Minimum 5 years of post-qualification experience in Risk Management. Manager (Statistician) 3 30-40 M.Sc.(Statistics). Candidates must have proficiency in Oracle/ SPSS. Minimum 7 years of post-qualification experience in Risk Management. Chief Manager (Forex) 1 30-40 MBA/PGDBM with specialization in Finance from a reputed Institute. Minimum 7 Years Post qualification experience in Analysis/ research role in Bank/ Financial Institution in Indian Foreign Exchange and Interest Rate market. Deputy Manager (Interest Rate Market 1 35 years MBA/PGDBM with specialization in Finance from a reputed Institute. Minimum 5 Years Post qualification experience in Analysis/ research role in Interest Rate market. SBI Jobs 2017 Application Fee: General/OBC Candidates have to pay Rs. 600/- and SC/ST/PWD Candidates have to pay Rs. 100/- through Demand Draft / Banker’s cheque favoring “CRPD, State Bank of India” payable at Mumbai.